Table Rock Lake is famous for its clean, clear water, scenic Ozark mountains, and wide variety of activities. For families looking for a great spring break destination it should be on your short list. Why? The Table Rock Lake area is home to world-class amusement and nature parks, an 1800s themed showboat adventure, and Missouri’s largest trout hatchery. Want more? The lake is located just minutes from Branson which has been a favorite family spring break destination for decades. The attractions, shopping, and family fun parks in Branson round out your spring break itinerary. Daytime temperatures in early to mid-March average in the upper 60s so plan on a layered strategy for clothing. You’ll also want to pack a light raincoat to ward off the occasional rain shower. That being said, it’s not uncommon for lots of sunshine and often temps will soar into the upper 70s. Bring your sunscreen and sunglasses. And, bring your best smile… you’ll have plenty of great photo ops. Head for Table Rock Lake for the official start of spring during Silver Dollar City's Spring Ride Days. 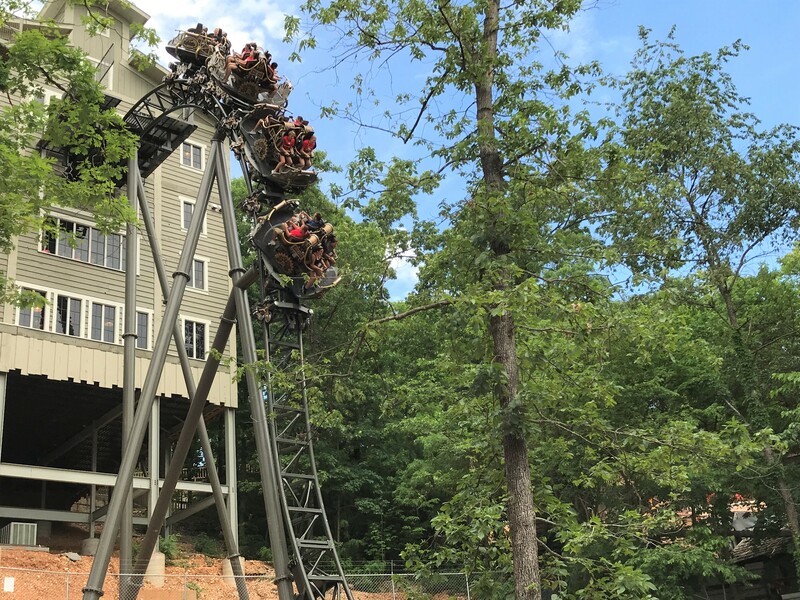 Enjoy some good old-fashioned fun with your family on over 40 thrilling rides and attractions, including the multi-looping WildFire, the 10 family adventures of Fireman's Landing, and Time Traveler the world's fastest, steepest and tallest spinning coaster. For the first and only time, the largest assemblage of remaining RMS Titanic Lifejackets will be on exclusive display March through June 15, 2019 at the Titanic Museum Attraction in Branson. This is a stunning, world exclusive exhibit. There are only 12 known Titanic lifejackets left in the world. For the first time anywhere, 7 of these priceless artifacts will be at the Titanic Museum Attraction. These jackets gave hope to the helpless, and what stories they could tell. During this rare event, the Titanic crew will speak for them. Explore nature underground in ''Missouri's Most Beautiful Cave'' in Talking Rocks Cavern where professional guides take you along concrete pathways of amazing crystal formations. Enjoy an hour long guided, walking tour. Get up close and personal as entertaining and educational guides take you along lighted paths going 100 feet deep, through millions of living, glistening crystals. Tours depart frequently every day from 9:30 to 5:00pm. 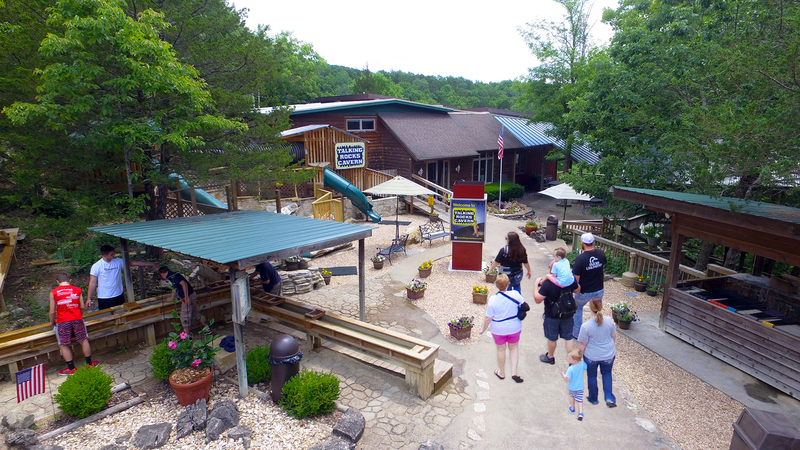 You’ll also want to check out the Rock and Gift Shop, SpeleoBox Crawl Mazes, Nature Trails, Gemstone Mining, Lookout Tower, Picnic Areas, and Cave Country Mini-Golf. This is the largest trout-rearing facility operated by the Missouri Department of Conservation. It is located just below Table Rock Dam. The hatchery produces between 350,000 and 400,000 pounds of trout each year. Both rainbow and brown trout are raised at the hatchery with 80 percent of production going into Lake Taneycomo. The hatchery includes a free conservation center, where the public can learn more about trout culture, aquatic life, fishing and the Missouri Department of Conservation's role in aquatic resource management. During the spring months the hatchery is open Tuesday through Saturday from 9 a.m. - 5 p.m. Speaking of fish, you may want to experience our excellent fishing at Table Rock Lake. In late March bass and other species of fish start moving into shallow water and some of the biggest fish of the year are caught in March. Consider a guided fishing trip or renting a boat at one of our marinas. Speaking of big fish, paddlefish, or spoonbill as they are often called, make their way up the James River to spawn. These fish are enormous. In fact, the state record was taken at Table Rock Lake. It weighed a whopping 140 lbs. 9 oz. Spoonbill season runs from March 15 through April 30. These suggestions will get you started. Check out our website at VisitTableRockLake.com for a complete list of fun things to do. Consider the Indian Point area as home base for your spring break adventure. Especially if Silver Dollar City is part of your plan. Lakefront resorts such as Dooley Lodges and Resort, Still Waters Resort, and Watermill Cove Resort provide excellent guest amenities. 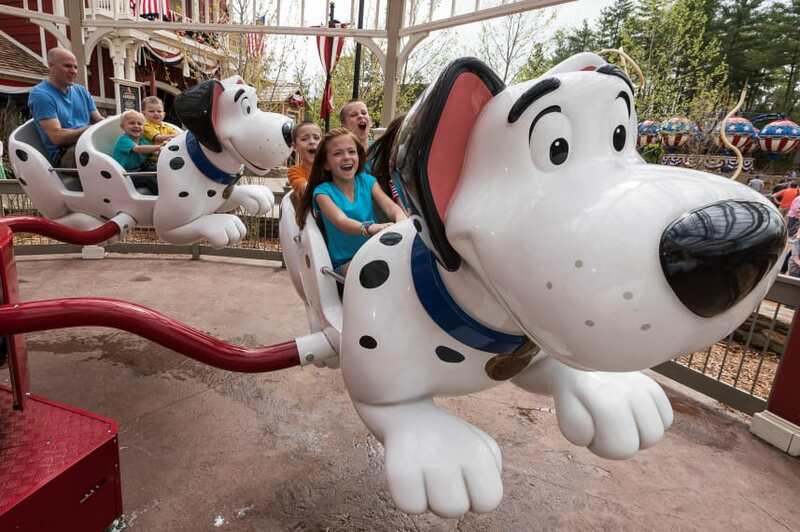 You’ll be less than five minutes to Silver Dollar City and 15 minutes to the Branson entertainment district. If you want something a little closer to the Branson attractions consider Chateau on the Lake, Grand Oaks Hotel, or one of the Myer Hotels properties (Best Western, Comfort Inn, Holiday Inn, Quality Inn). If fishing is in your plans, many of our lakefront resorts cater to anglers. 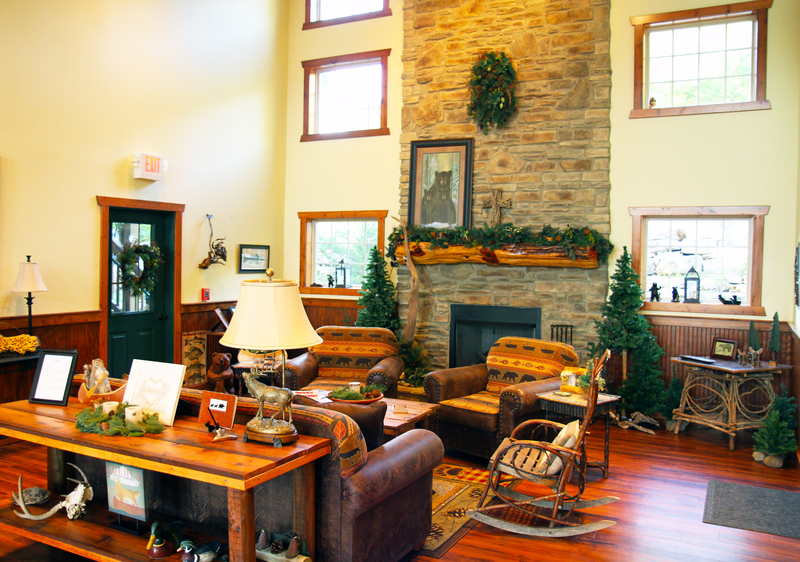 Check out Edgewater Villa, Schooner Creek Resort, Double Oak Resort, Bar M Resort and Campground or Happy Hollow Resort. For a complete list of accommodations visit our lodging page. Plan your spring break trip to Table Rock Lake now. 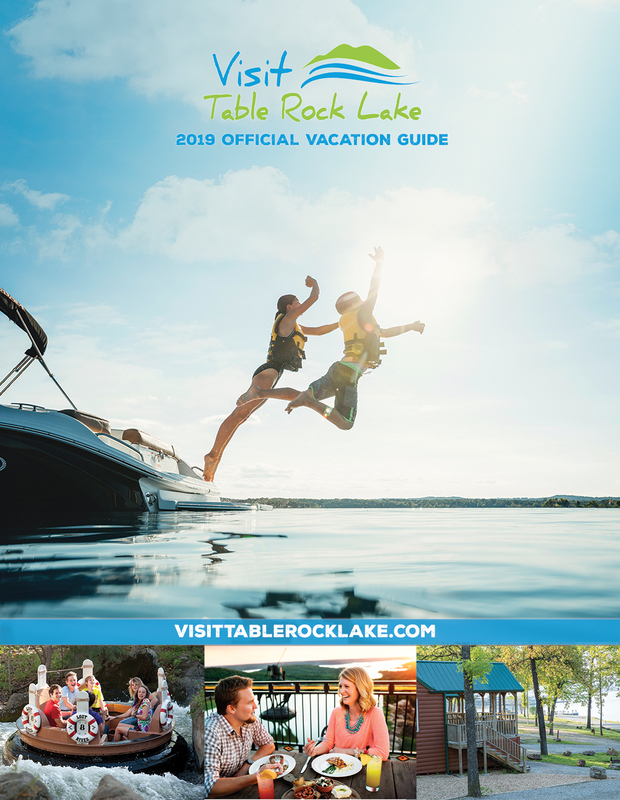 To order a FREE 2019 Table Rock Lake Vacation Guide click here. To view the Vacation Guide online click here.